Ontario Premier Doug Ford is not saying "lock her up" — the chant used by Donald Trump supporters in the 2016 U.S. election to discredit his opponent, Hillary Clinton — when referring to former Liberal premier Kathleen Wynne, but he's coming awfully close. Ontario Premier Doug Ford is not saying "lock her up" — the chant used by Donald Trump supporters in the 2016 U.S. election to discredit his opponent, Hillary Clinton — but he's coming awfully close. Ford is using such words as "fraud" and "coverup," saying a lot of Ontario Liberals got "really, really rich" off the backs of the taxpayers, and implying that police ought to be called in. "We're not going to let [former premier]Kathleen Wynne and her cronies get away with their $15-billion scandal," Ford declared to enthusiastic applause from a room at the Ontario Legislature packed with Progressive Conservative MPPs on Monday. The "$15-billion scandal" Ford is talking about is the Wynne government's extreme low-balling of this year's deficit. The Liberals used, let's call it, "alternative accounting" to make the bottom line look billions better than reality ahead of the election. The auditor general rejected their numbers as unacceptable. For this and many other reasons, voters delivered a thumping to the Liberals, reducing their caucus to a number that fits into a minivan. Handing the Ontario Liberals their worst defeat in the party's history seems to not be enough for Ford. He now wants voters to believe that Wynne is guilty of perpetrating "the worst political scandal in the history of Ontario," as he said (twice) in the Ontario Legislature on Monday. Three key parts of Ford's speech show how he is equating the Liberals' actions with criminality while cleverly avoiding outright calling Wynne a thief. "If you tried to play these dirty accounting tricks in a business, if you tried to pull that kind of coverup in the private sector, the [Ontario Securities Commission] would come calling, the police would come calling. The only reason this is not fraud is that the Liberals got to set their own accounting rules." 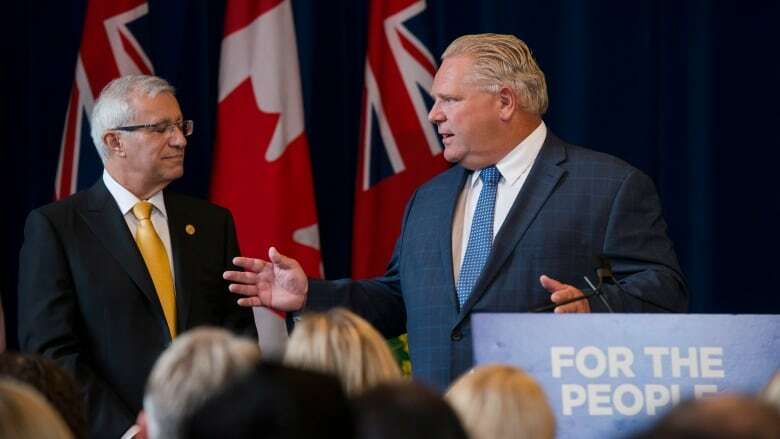 Here, Ford is talking about the way the Liberals accounted for the Fair Hydro Plan: the Liberals got Ontario Power Generation to take on billions of dollars in long-term debt to reduce electricity rates in the short-term. They refused to count the borrowing against the government's bottom line but added it to OPG's books instead. The auditor general conducted a thorough investigation of the plan and last year slammed the Liberals for improper accounting that hid the deficit. She did not allege fraud or call in the cops. While Ford calls it "the worst scam in Ontario's history," the PCs are continuing with the plan. The difference is: they are correctly counting it as a government expense. "They do not get to just walk away from this. We will demand answers about where the money went. A lot of the Liberals got rich, really really rich, under Kathleen Wynne and off the backs of the taxpayers of Ontario." Ford is taking his government's projection that the province will be $15 billion in the red this year and insinuating that Liberals have lined their pockets with $15 billion in public money. He did not name names — presumably because he doesn't have evidence that "the money went" to any specific individual illegally. No PCs will get rich on his watch, insists Ford, who said Monday: "Under this government, there will be zero tolerance for any form of financial scandals and abuse." "Worst of all was the coverup. This was quite possibly the worst political coverup in Ontario's history. Kathleen Wynne and the Liberals lied to all of us. And we all know that if you lie on your taxes, if you lie on your mortgage, if you lie on your car loan, there are consequences. You don't just get to walk away." Again, Ford is implying criminal fraud. Although he doesn't have the power to drag the Liberals into criminal court, he is signalling his intent to haul them before a PC-dominated legislative committee with the power to call witnesses, compel documents and gather evidence. He is promising answers to these questions: "How did this happen? Who let this happen? Who authorized the coverup?" His committee will have to act fast. It has a Dec. 13 deadline to submit its final report. Ford read his speech from a Teleprompter and refused to take any questions from journalists afterward. 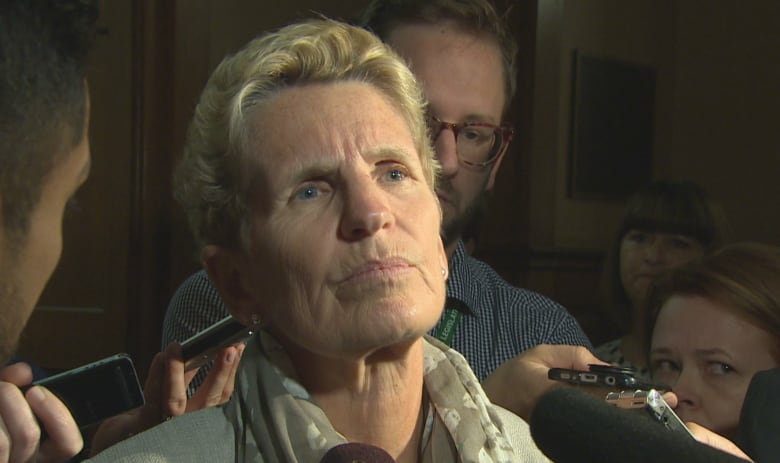 Wynne took questions, however, after the morning sitting of the legislature on Monday. She said Ford's "inflamed language ... bears no resemblance to what's actually gone on." Asked about the claim that Liberals got rich, she said: "I have no idea what he is using to back up a claim like that. It is completely false." She was also asked about people in the crowd at Ford Fest on the weekend calling out "Lock her up" when Ford made reference to the $15-billion deficit." Ford calls Finance Minister Vic Fedeli's findings from yesterday "shocking" and "terrifying". <br><br>"Lock her up!" shouts several supporters. "Arrest them!" shouts another. "Why do that? What does that serve? How does that help anyone?" said Wynne. "It's just vile, and it is unbecoming of a premier." Wynne's question was rhetorical, but one possible answer is that Ford wants voters to believe she is a crook and is looking to stoke that narrative.